Project Piura is a TiC-run project set up by Trustee Leonora Borg in 2005 to enable street children in northern Peru to attend school. As well as providing school books and stationery to more than 100 children, it works on a long-term basis with four families whose children were not attending school. 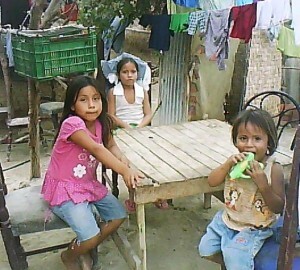 The Guardados live in Piura with one bed and no cooker. All ten children, including four year old Emily, worked on the streets until 3am. Previously anti schooling, the father gave permission for the children to attend night school three years ago. They have been achieving high grades and this year, the oldest three children (aged 17, 18 & 19) found work in Lima. The five children of the Flores family worked on the street, often sleeping in a cinema doorway; the mother of the five Castillo children is often away from home for days at a time, leaving her children alone. As school starts at 7pm, all of these children are no longer exposed to the dangers of the streets at night. Frank (17) is the newest street child to be supported; he also mentors the younger children. The project is headed by volunteer Coordinator Edgar. Peru has impressive natural resources but is also the second biggest exporter of cocaine worldwide, with the poor often forced to carry drugs. The current recession is giving the poor fewer options and many families cannot afford the basic costs of sending their children to school – on average £60 a year per child. Seven years after first meeting the families in Piura, Trust in Children is still supporting many of them to attend school, and in some cases to continue into higher education. Click through to read a message from Frank, supported by TiC to go to university. 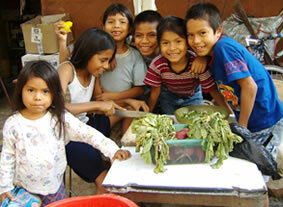 Check the scope of the Piura Project here.